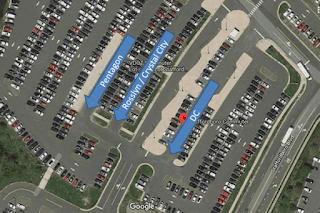 The other options is to have split by 6 separate lines as to mirror afternoon lines, Rosslyn, Pentagon, Crystal City, L'Enfant Plaza, 14th Street, and 18th Street. Poll may represent only about 10% of the commuters, and does not break down by drivers and riders. If we can split the line we expect afternoon lines in DC, Crystal City and Rosslyn will grow to have a steady flow of riders and drivers during the peak hours saving time for both drivers and riders. 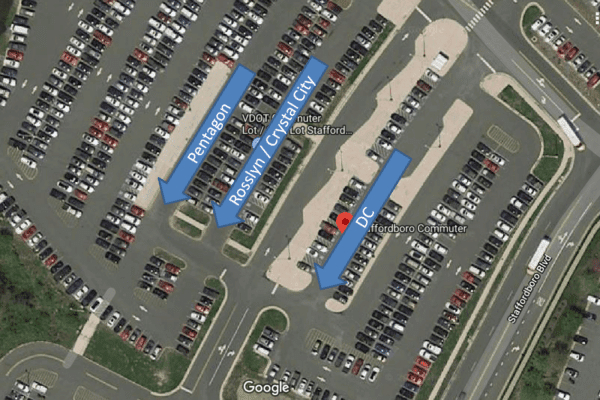 Riders also can avoid transfers at the Pentagon and drivers can avoid detour to the Pentagon to drop off riders.